Last October, we posted a photo slideshow on some of our favorite pizzas in the Boston area, and while that one had six pizzas, our new pizza slideshow has a total of ten pies shown. 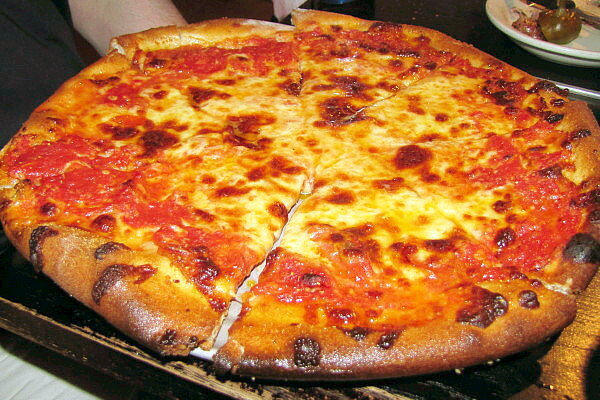 Part Two of the pizza slideshow has everything from traditional thin-crust pizza to bar pies to Sicilian pizza, with Italian restaurants, pizza places, and bars all over the Boston area included. How many of these places have you been to for pizza? Which are your favorites? Let us know in our comments section here, thanks! Posted by MH, Boston's Hidden Restaurants, on October 4, 2012.
great list. I've had a lot of these.